Welcome to my Buyer’s Guide for Olympus and Panasonic lenses! Both companies share the same Micro Four Thirds standard for their mirrorless cameras, which means you can use lenses from either company on either body, or indeed any other lens designed for Micro Four Thirds. Having two major camera companies produce lenses for the same system coupled with being the first to launch a native mirrorless system means Micro Four Thirds also enjoys more lenses than any other mirrorless rivals. With multiple options available at each popular focal length, the choice can sometimes be bewildering, but on this page I’ll help you choose the best models. I’ll start with a quick guide of what to look out for, followed by my personal suggestions for building a variety of systems, and finally a list of all the models I’ve reviewed or tested and can recommend. So if you’re looking for a lens for an Olympus or Panasonic camera, you’ve come to the right place! For more information on bodies, check out my Olympus Camera reviews and Panasonic Camera reviews pages. The Four Thirds sensors used in Olympus and Panasonic mirrorless cameras mean the field-of-view of all lenses is effectively reduced by two times compared to a full-frame system – so a 25mm lens will deliver a 50mm equivalent field-of-view. 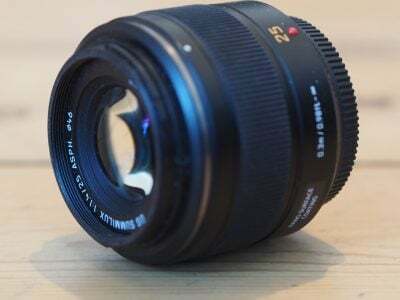 If you’re looking to compare depth-of-field with full frame, then you’ll also need to double the f-number – so a 25mm f1.4 lens will deliver images with coverage and depth-of-field equivalent to a 50mm f2.8 lens on full frame. In terms of exposure though, an f-number on one system is the same as on another – the difference here refers only to equivalent coverage and depth-of-field. The end result though is you’ll need to choose lenses with very small f-numbers if you want to achieve very shallow depth-of-field effects with Micro Four Thirds. Conversely, with a larger inherent depth-of-field, you won’t need to close the aperture as much if you want to get more in focus. Stabilisation is another major selling point for Micro Four Thirds: Olympus pioneered body-based stabilisation (which shifts the sensor) and has long built it into every body. Panasonic more recently adopted sensor-shift technology and now offers it on most new Lumix G bodies apart from the cheapest ones. Both will stabilize any lens you attach, even if the lens doesn’t have optical stabilisation. Panasonic does however sell many lenses with optical stabilisation, partly to support older Lumix G cameras without built-in stabilisation, but also to work alongside newer bodies which do have built-in stabilisation to improve the result. Panasonic’s so-called Dual IS technology exploits both optical stabilisation in the lens with body-based stabilisation in the camera to deliver improved results, especially for filming video or shooting at longer focal lengths; now most of its lenses support Dual IS when mounted on recent bodies, although they may need a firmware update. Olympus also has a similar technology called Sync IS, but it’s only exploited on a handful of lenses; that said, the Olympus built-in stabilisation is so good, it rarely needs further enhancement. Dual IS and Sync IS may employ similar techniques, but are proprietary to Panasonic and Olympus respectively. To exploit Dual IS, you’ll need to mount a Dual IS lens on a Dual IS body, which means sticking with Panasonic pairings. Similarly to exploit Sync IS, you’ll need to mount an Olympus Sync IS lens on an Olympus body. So while you can mount any Panasonic lens on an Olympus body and vice versa, each now offers slightly improved stabilisation if you match their own company’s technologies. This may influence some of your lens decisions, but I personally feel other aspects play a bigger part. 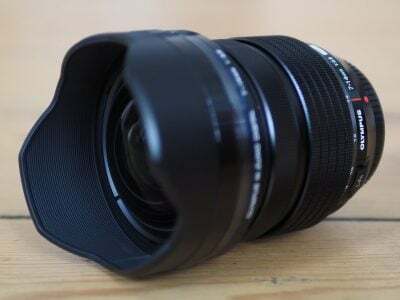 Beyond this, you may find manual aperture rings on some higher-end Panasonic lenses which become redundant on Olympus bodies – you can still adjust the aperture on an Olympus body by using one of the camera control dials, but the aperture ring on the lens is ignored. Finally in terms of quality, both companies divide their lens ranges into various categories. Olympus divides its range into three groups: its basic lenses are labelled M.Zuiko, its mid-range ones M.Zuiko Premium, and its high-end ones M.Zuiko Pro. Panasonic brands all its mirrorless cameras and lenses as Lumix G, but co-develops a series of high-end lenses with Leica, labeled Leica DG; these are designed by Leica, but manufactured by Panasonic. Now for my recommendations and as always I’ll only cover models that I’ve personally tested to some degree; I’ve linked each lens in the next section to their product page at B&H for pricing, and in the section following that I’ll provide links to my reviews and samples galleries. Note there’s so many great MFT lenses available that I can’t cover them all, but these are my personal favourites. Panasonic and Olympus have both done a great job with their kit zooms which all generally deliver very respectable quality for their prices; indeed I’d say for most Panasonic and Olympus owners, I’d recommend complementing the kit zoom rather than replacing it. One of the best second lenses for any system is a fixed focal length ‘prime’ lens that’s equivalent to 50mm. These are normally small, light, relatively affordable and most importantly offer much brighter apertures than a kit zoom, allowing far greater potential for background blurring. There are many 25mm lenses available in the Micro Four Thirds catalogues (delivering 50mm equivalent coverage) and I’ll mention some higher-end options later, but to kick-off this guide I’m going to recommend the Panasonic Lumix G 25mm f1.7, one of the cheapest lenses available for Micro Four Thirds, and a no-brainer for anyone wanting to start exploring creative photography. If you love the idea of a 50mm equivalent prime but fancy something higher-end, I’ll have more recommendations for you in a moment. If you prefer something a little wider, perhaps for street photography, I can also highly recommend a 17mm prime or thereabouts and again there’s lots of options, albeit at a higher price than the 25mm above; I’m going to suggest either the Panasonic Leica DG 15mm f1.7 or the Olympus M.Zuiko Digital 17mm f1.8, both in a similar ballpark price-wise; I personally prefer the Leica, but love the more compact size of the Olympus when mounted on a smaller body. But if you’d still prefer a premium zoom lens with an upgrade in range, brightness, build or overall quality over a kit model, or are perhaps choosing a first zoom for a higher-end body, there are plenty of compelling options available. Remember if you have a Panasonic body without built-in stabilisation, then you’ll need a lens with optical stabilisation to iron-out the wobbles. My favourite three high-end general-purpose zooms are the Olympus M.Zuiko Digital ED 12-40mm f2.8 PRO (which offers a useful 24-80mm equivalent range with a constant f2.8 aperture but no optical stabilisation), the Panasonic Leica DG Vario-Elmarit 12-60mm f2.8-4 OIS (costing a tad more and losing the constant aperture, but extending the range to 24-120mm equivalent and including optical stabilisation), and the Olympus M.Zuiko Digital ED 12-100mm f4 IS PRO (which costs around 50% more, but boasts an even longer 24-200mm equivalent range, as well as being one of the few Olympus lenses with optical stabilisation). If you’re after a new lens to extend your reach, then there’s no shortage of telephoto zooms available. At the budget-end and designed to complement a kit zoom, I’d suggest either the Olympus M.Zuiko Digital ED 40-150mm f4-5.6 or the Panasonic Lumix G 45-150mm f4-5.6 OIS. These are two of the most affordable lenses in the catalogue and ideal partners for a basic kit zoom on a budget body; if you have a Panasonic body without stabilisation, go for the Lumix G 45-150mm model which has optical stabilisation. If you’d like even longer reach without breaking the bank, I’d recommend the Panasonic Lumix G 100-300mm f4-5.6 II OIS that takes you to 600mm equivalent coverage at a relatively affordable price. Beyond this, prices increase significantly as you enter the realm of professional zooms with higher quality, tougher build and brighter apertures. My favourite pair are the Olympus M.Zuiko Digital 40-150mm f2.8 PRO (boasting a constant f2.8 aperture but without optical stabilisation), and the Panasonic Leica DG 50-200mm f2.8-4 (which sacrifices the constant aperture for a slightly longer range and a much smaller body for greater portability, and also includes optical stabilisation). Both lenses also make ideal pairings with the Olympus 12-40mm f2.8 and Panasonic Leica DG 12-60mm f2.8-4 respectively. Portrait photographers are also very well-served with a wide variety of short telephotos with bright apertures to blur the backgrounds. The cheapest decent option is the Olympus M.Zuiko Digital 45mm f1.8, a tiny lens that punches well above its weight, although if you need optical stabilisation, consider spending a little more on the Panasonic Lumix G 42.5mm f1.7 OIS which also manages to focus much closer – this may in turn eliminate the need for a dedicated macro lens in the future if your close-up work isn’t too extreme. For more distant portraiture, I’m a big fan of the Olympus M.Zuiko Digital 75mm f1.8 with its compact barrel, 150mm equivalent coverage and ability to really separate the subject from the surroundings. If you’re into very high-end lenses, the pair to aspire to are the Olympus M.Zuiko Digital 45mm f1.2 PRO and the Panasonic Leica DG 42.5mm f1.2 Nocticron. Both deliver approximately 85mm equivalent coverage, the classic short telephoto beloved by portrait shooters, combined with very bright apertures and attractive rendering. Both cost around five times more than their f1.8 counterparts though and are of course much larger and heavier too, but once you’ve shot with them you’ll love the results; the Leica version also has optical stabilisation. Before moving on, I’ll also give a quick mention to one of my favourite lenses in the system, the Panasonic Leica DG 25mm f1.4, a lens that’s arguably a little short for classic portrait work but one that can still work well at closer distances and which delivers very attractive rendering; it’s also a classy general-purpose prime lens. If you’re into ultra-wide angle photography for big landscapes and architecture, there are again a lot of decent options available. The most affordable is the Olympus M.Zuiko Digital 9-18mm f4-5.6, which may not be as wide as the others I’ll mention but is compact, low-cost and includes a filter thread lacking from many wider options. Next-up is the Olympus M.Zuiko Digital 7-14mm f2.8 PRO, which costs around twice the price and lacks a filter thread, but boasts much wider coverage, weather-proofing and a constant f2.8 aperture. My personal favourite though is the Panasonic Leica DG 8-18mm f2.8-4 which may lack the constant aperture and not be quite as wide, but delivers a broader total range that makes it more useful for general work, includes a filter thread (which also works fine with the Lee Seven5 ND system at 8mm), and crucially also comes in a little cheaper. Micro Four Thirds is so established, there’s even a wide choice of fisheye lenses available. My personal picks are the Samyang 7.5mm f3.5 Fisheye at the affordable-end for those who want to have fun with this extreme coverage without breaking the bank, and at the higher-end, the Olympus M.Zuiko Digital 8mm f1.8 Fisheye PRO, which boasts a far brighter aperture than most lenses of this class; I often shoot light festivals at night with this lens and find the combination of the ultra-wide coverage and bright aperture mounted on a body with stabilisation allows me to successfully handhold in unusually dim conditions. Moving onto Macro, there’s again a wide choice available and sensibly the manufacturers have tried to avoid stepping on each other’s toes by duplicating focal lengths. My picks are both in a similar ball-park price-wise: the Panasonic Lumix G 30mm f2.8 Macro OIS and the Olympus M.Zuiko Digital 60mm f2.8 Macro. Both will deliver 1:1 magnification, so the choice boils down to which focal length suits you best and whether you prefer the optical stabilisation of the Panasonic or the weather-sealing of the Olympus. Regulars to Cameralabs will know I’m very fond of putting together groups of prime lenses rather than relying on one or two zooms, and if you’re after shallow depth-of-field effects, this is definitely the way to go on Micro Four Thirds due to the sensor size. A great combo on a budget are the Panasonic Lumix G 25mm f1.7 and the Olympus M.Zuiko Digital 45mm f1.8, giving you a standard 50mm and short telephoto 90mm at an affordable price. If you have more to spend, consider adding a wider option with the Panasonic Leica DG 15mm f1.7 or the Olympus M.Zuiko Digital 17mm f1.8, and if you love the standard 50mm length, you may want to swap the budget Lumix G 25mm f1.7 for something nicer like the Panasonic Leica DG 25mm f1.4 or one of the higher-end models. 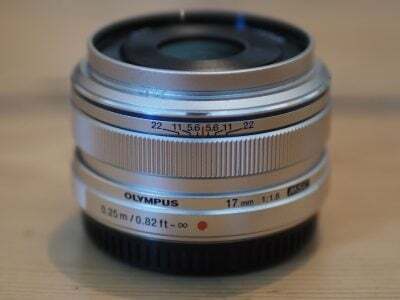 Speaking of which, those with much bigger budgets and higher expectations would be delighted with the Olympus triplet of f1.2 primes: the Olympus M.Zuiko Digital 17mm f1.2 PRO, Olympus M.Zuiko Digital 25mm f1.2 PRO and Olympus M.Zuiko Digital 45mm f1.2 PRO. If you’re not worried about having an all-Olympus f1.2 collection, remember the Panasonic Leica DG 42.5mm f1.2 Nocticron too which also has optical stabilisation. Fancy putting together a triplet of top-end zooms? How about the Olympus M.Zuiko Digital 7-14mm f2.8 PRO, Olympus M.Zuiko Digital 12-40mm f2.8 PRO and Olympus M.Zuiko Digital 40-150mm f2.8 PRO, giving you an equivalent range of 14-300mm with a constant f2.8 aperture. Or if you’re willing to sacrifice the constant f2.8 aperture for a smaller and lighter triplet with f2.8-4 apertures, I’m very fond of the Panasonic Leica DG 8-18mm f2.8-4, Panasonic Leica DG 12-60mm f2.8-4 and Panasonic Leica DG 50-200mm f2.8-4, giving you an equivalent range of 16-400mm. Keep reading for my detailed reviews of selected Micro Four Thirds lenses and sample image galleries! The Leica DG 50-200mm f2.8-4 is a compact and high quality telephoto zoom for Micro Four Thirds bodies upon which it delivers a 4x range equivalent to 100-400mm. This is an ideal range for sports, action, distant portraiture and some wildlife too. The focal ratio may not be constant, but is sufficiently bright to give it the edge in low light and shallow depth-of-field performance over cheaper telephoto zooms. 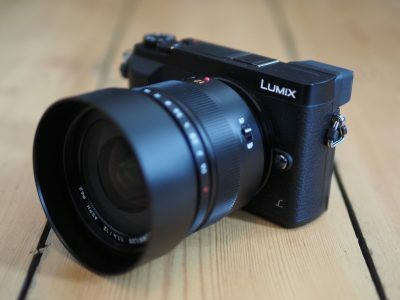 The focusing is fast and quiet, the optical stabilisation achieved up to six stops in my tests, and like all of Panasonic and Leica's collaborations, the build quality is excellent with smooth mechanics and a weather-sealed body. The compact dimensions and light weight also mean you'll almost always have it with you in your bag, versus larger models which often get left at home. The smaller size, longer reach and presence of optical stabilisation are the key benefits over the Olympus 40-150mm f2.8 PRO, but it's more expensive and lacks the constant aperture, crispness at shorter focal lengths, and physical benefits of its rival, so think carefully about your needs. Ultimately though another worthy addition to the Micro Four Thirds catalogue and one I can recommend. Check prices on the Leica 50-200mm f2.8-4 at Amazon, B&H, Adorama, or Wex. Alternatively get yourself a copy of my In Camera book or treat me to a coffee! Thanks! The Leica DG 8-18mm f2.8-4 becomes the fourth ultra-wide zoom for the Micro Four Thirds system, and arguably the most compelling overall to date. It may not zoom quite as wide as the Lumix and Olympus 7-14mm models, but the extra reach at the longer end makes it more flexible, and crucially the ability to mount standard (or even serious ND) filters without vignetting will be appreciated by many (especially long exposure) photographers. The Leica may not be quite as sharp in the corners as the Olympus 7-14mm at wide apertures and it also lacks the constant f2.8 focal ratio, but in turn it's smaller, lighter and cheaper. It also out-performs the older Lumix 7-14mm f4, while mostly avoiding the purple flare issues of that model. Throw in quick and quiet focusing, and a weather-sealed body with smooth focus and zoom rings and you have a lens that's easy to highly recommend. It's become my favourite ultra-wide zoom for Panasonic and Olympus bodies, and a tempting upgrade for owners of the Lumix 7-14mm f4 or Olympus 9-18mm. Check prices on the Leica DG 8-18mm f2.8-4 at Amazon, B&H, Adorama, or Wex. Alternatively get yourself a copy of my In Camera book or treat me to a coffee! Thanks! The Leica DG 100-400mm f4-6.3 is a high quality super-telephoto zoom for the Micro Four Thirds system. Mounted on an Olympus or Panasonic Lumix body, it delivers an equivalent range of 200-800mm, giving it a longer reach than any other native lens in the catalogue and making it ideal for wildlife shooters. It also offers a step-up in optical and build quality over the existing telephoto zooms in the system, albeit at a comfortably higher price too. 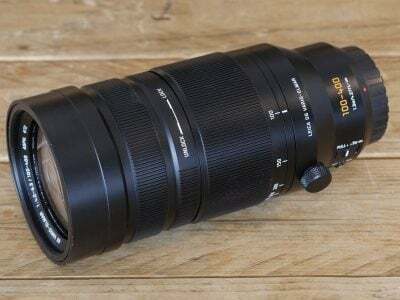 If you're on a budget, the Lumix 100-300mm remains hard to beat and if you can afford the Leica, you should also ask if it's worth reaching a little further to the Olympus 300mm f4 prime. But if it's a high quality super-telephoto zoom you're after, the Leica 100-400mm delivers the goods, and fills an important gap in the Micro Four Thirds catalogue. Check prices on the Leica 100-400mm at Amazon, B&H, Adorama, or Park Cameras. Alternatively get yourself a copy of my In Camera book or treat me to a coffee! Thanks! 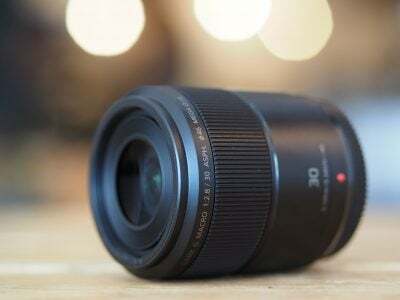 The Olympus 7-14mm f2.8 Pro is a high-end ultra-wide angle zoom that delivers an equivalent range of 14-28mm with a constant f2.8 focal ratio. The range matches the coverage of the Lumix G 7-14mm, but it's a stop brighter and boasts weather-sealing too. Like the Lumix G 7-14mm, the built-in lens hood means there's no standard filter thread on the front, but third party solutions from the likes of Lee are available. The brighter aperture and tougher build means the Olympus 7-14mm f2.8 is inevitably larger, heavier and more expensive than the Lumix G 7-14mm, but it represents a step-up in all respects while also avoiding the purple flares that could plague the Lumix on some bodies. Check prices on the Olympus 7-14mm f2.8 at Amazon, B&H, or Adorama, or Wex. Alternatively get yourself a copy of my In Camera book or treat me to a coffee! Thanks! There's no denying the Lumix G 30mm f2.8 represents great value for a high quality macro lens. It may be the cheapest way to enjoy true 1:1 reproduction with AF on a native Micro Four Thirds lens, but there doesn't appear to be any compromise on quality. My only complaint is the lack of a focus limiter which could have improved AF speeds for non-macro situations, but even with the full focusing range at its disposal, the AF is fast enough. Considering the close-to-standard coverage also makes it the most flexible of the three native macro lenses, it's become a highly compelling option for any Panasonic or Olympus owner who's interested in close-up photography. Check prices on the Lumix G 30mm f2.8 at Amazon, B&H, Adorama, or Wex. Alternatively get yourself a copy of my In Camera book or treat me to a coffee! Thanks! 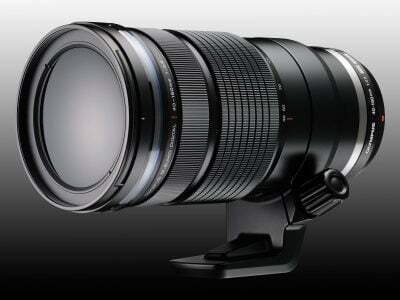 The Olympus 40-150mm f2.8 Pro is a high-end telephoto zoom with a constant f2.8 focal ratio. With equivalent coverage of 80-300mm, it's ideal for portraiture and street photography, along with nearby sports and wildlife. It handles quickly, shrugs-off inclement weather, and delivers very sharp and high contrast images right into the corners even at the maximum aperture. 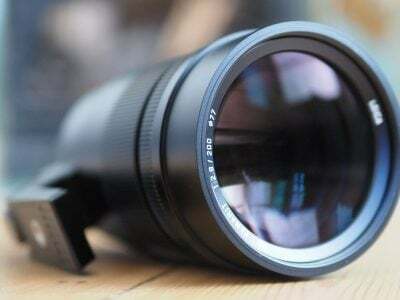 The focal range is also comfortably longer than the rival Lumix 35-100mm f2.8, although it is physically larger too. Personally speaking I prefer to shoot with brighter primes for a shallower depth of field, but if you're happy with the blurring capabilities of the Olympus 40-150mm, it's a powerful lens to have in your collection. Check prices on the Olympus 40-150mm f2.8 at Amazon, B&H, Adorama, or Wex. Alternatively get yourself a copy of my In Camera book or treat me to a coffee! Thanks! The Leica Summilux 15mm f1.7 is a high quality general-purpose prime lens for Panasonic and Olympus bodies, and one that's also priced fairly compared to alternative options. Its focal length, equivalent to 30mm in full-frame terms, may be unique in the range, but it's ideally-suited as a versatile walk-around lens. A little wide for traditional portraits, but landscapes, architecture, even detail shots with a shallow depth of field are all comfortably within its grasp, and the optical quality is a step-up from alternatives with a similar focal length. 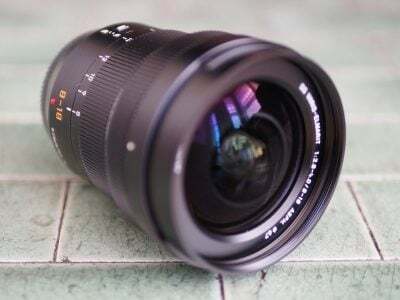 If you don't already own any of the similar focal length primes, I'd say go for the Summilux 15mm if you can afford the premium over the Olympus 17mm f1.8. This especially applies if you're a GM1 or GM5 owner as it's a better physical match. 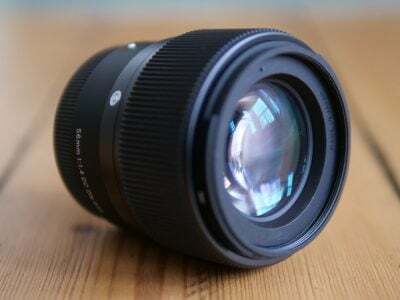 If you already own the Olympus 17mm f1.8 though, it's a tougher sell. Sure it's optically a little better, but not enough for most to consider an upgrade. Ultimately the Olympus 17mm f1.8 remains a superb general-purpose lens that I can highly recommend, but it's wonderful to also have a slightly better alternative available at a small premium for those who can justify it. Check prices on the Leica 15mm f1.7 at Amazon, B&H, Adorama, or Wex. Alternatively get yourself a copy of my In Camera book or treat me to a coffee! Thanks! 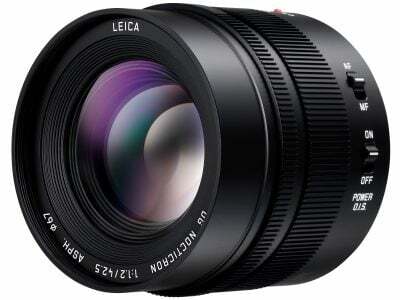 The Leica Nocticron is an unashamedly high-end portrait prime lens with superb performance. The 42.5mm focal length becomes equivalent to 85mm in full-frame terms, making it a classic for portrait work, while the f1.2 focal ratio ensures very shallow depth of field effects are possible. What's really impressive though is how sharp the lens is right into the corners even at the maximum aperture, making it an extremely flexible option in low light. Suffice it to say the rendering of out-of-focus areas is also exemplary. The only downside, other than sheer size, is the price which matches the high-end performance. Luckily there are many wonderful short telephoto primes available for Micro Four Thirds if you can't reach the Nocticron, but for those who demand the best, here it is. 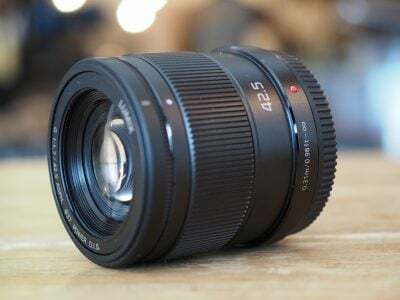 Olympus continues it run of high quality, metal-bodied prime lenses with the M Zuiko Digital 75mm f1.8. This delivers telephoto coverage equivalent to 150mm with a bright f1.8 focal ratio that makes it ideal for serious portrait work, along with picking out finer details in landscapes and urban environments. Maintaining the f1.8 focal ratio at a longer focal length though has resulted in a high price tag, around double that of the 45mm f1.8, and despite the robust construction it's not splash or dust proof; owners of Panasonic bodies should also know that like all Olympus lenses there's no optical stabilization, so they'll have to shoot at sufficiently fast shutter speeds or on a tripod to avoid shake. But even with these caveats it remains a highly desirable lens especially for serious portrait photographers. 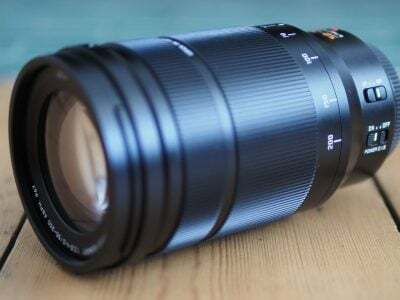 Meanwhile fans of long fast primes can also look forward to Panasonic's upcoming 150mm f2.8, albeit at an even higher price. 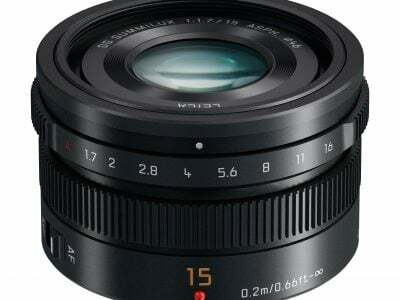 The Olympus M.Zuiko Digital 17mm f1.8 is a prime lens designed for general-purpose use. With an equivalent focal length of 34mm, it delivers a field of view that's almost identical to the classic 35mm lenses adored by street photographers. As such it's comfortably wider than a 50mm equivalent without suffering from the distortion of 28mm equivalent and wider options. 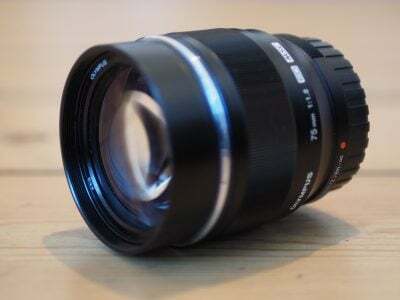 This makes it ideal as a walkaround lens, while the light weight and small size means you'll hardly notice it's fitted. The bright aperture is useful in low light and can also deliver shallow depth of field effects especially if the subject is close to the minimum focusing distance; if you're careful with distance and placement on the frame it can even take a reasonable portrait. Downsides? The lens hood is optional, there's no weatherproofing and the price is quite high, but the quality is great and it could end up being your most used lens, especially if you don't already own the 20mm.